Organizedby E. Carmen Ramos, SAAM’s deputy chief curator and curator of Latino art, the exhibition explores the work of ten photographers. Rather than approach the neighborhoods as detached observers, these artists deeply identified with their subject. Activist and documentary photographer Frank Espada captured humanizing portraits of urban residents in their decaying surroundings. 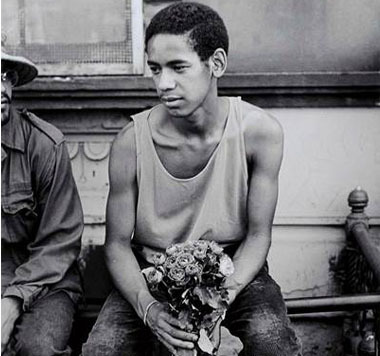 Hiram Maristany and Winston Vargas lovingly captured street life in historic Latino neighborhoods in New York City, offering rare glimpses of bustling community life that unfolded alongside urban neglect and community activism. 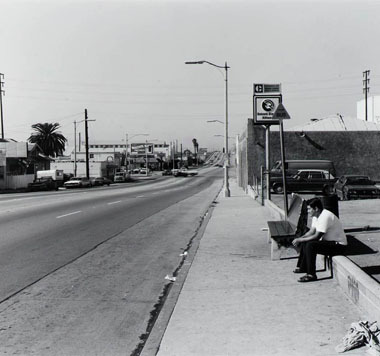 Working in Los Angeles, Oscar Castillo captured both the detritus of urban renewal projects and the cultural efforts of residents to shape their own neighborhoods. 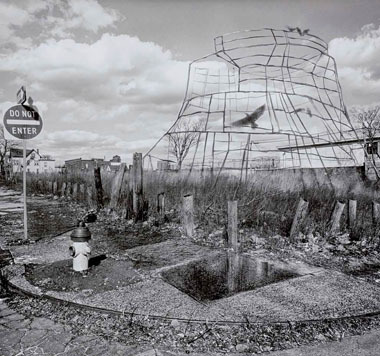 Perla de Leon’s poignant photographs of the South Bronx in New York—one of the most iconic blighted neighborhoods in American history—place into sharp relief the physical devastation of the neighborhood and the lives of the people who called it home. 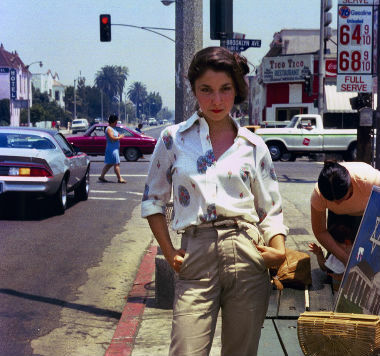 John Valadez’s vivid portraits of stylish young people in East Los Angeles counter the idea of inner cities as places of crime. Camilo José Vergara and Anthony Hernandez adopt a cooler, conceptual approach in their serial projects, which return to specific urban sites over and over, inviting viewers to consider the passage of time in neighborhoods transformed by the urban crisis. The barren “concrete” landscapes of Ruben Ochoa and Manuel Acevedo pivot on unconventional artistic strategies such as the merging photography and drawing, to inspire a second look at the physical features of public space that shape the lives of urban dwellers. Manuel Acevedo (Newark, NJ, 1964; act. New York, NY) combines in his practice projected images, photography, wall drawing, and animation. He has had solo exhibitions at the Bronx River Art Center, the Latino Cultural Center in Dallas, Texas, and the Jersey City Museum. Among his many awards and residencies are those received from the Joan Mitchell Foundation, and the Studio Museum in Harlem. Oscar R. Castillo (El Paso, TX, 1945; act. Los Angeles, CA) studied art at California State University, and film production at UCLA. His work has been published in Los Angeles Times, among other magazines. He has exhibited his photographs in the US, Mexico, Cuba, and France, and had a solo show at the Fowler Museum at UCLA. Castillo’s work is in the collection of the Smithsonian Institution, and his archive is housed at UCLA’s Chicano Studies Research Center. Frank Espada (Utuado, Puerto Rico, 1930 – New York, NY, 2014) was a photojournalist, activist, and educator. Working with the Youth Environment Study, Espada photographed the effect of HIV on underrepresented communities. 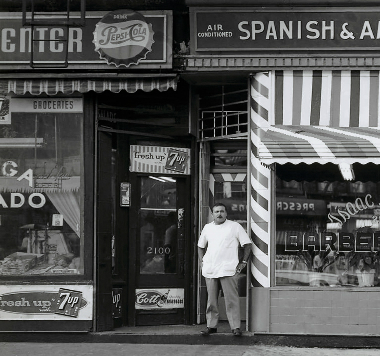 Much of Espada’s work and personal archives are housed by the Duke University Libraries in their Rubenstein Library, and The Smithsonian American History Museum, which now has by far the largest collection of his documentary photography, including his Puerto Rican Diaspora Documentary Project, and his Civil Rights Era photograph. 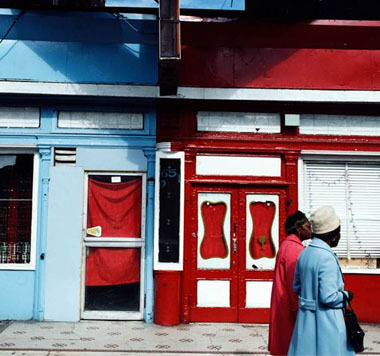 Anthony Hernandez (Los Angeles, CA, 1947) is a photographer that focuses on urban deconstruction and redevelopment. 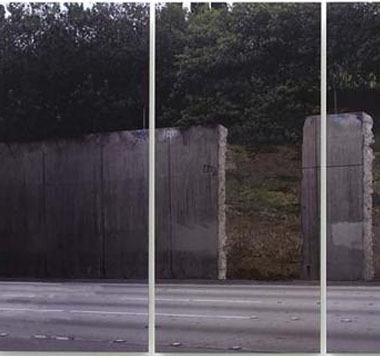 Hernandez has had numerous solo exhibitions in venues such as the Centre National de la Photographie in Paris (1997), the Laguna Art Museum in Laguna Beach, California (2001), and the Seattle Art Museum (2002). He has received three fellowships from the National Endowment for the Arts (1975, 1978, and 1980), among many others awards. 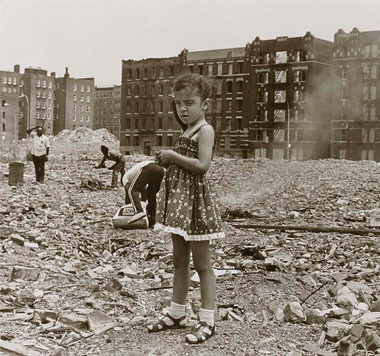 Perla de Leon (New York, NY, 1952) documented the South Bronx in New York during the 1980s. Her photographs offer a counter-narrative to negative stereotypes of underrepresented communities by portraying the resilience of the neighborhood’s predominantly African American and Latino residents. Hiram Maristany (New York, NY, 1945) was one of the founding members of the Young Lords Party in 1969, and was the official photographer for that radical organization’s brief but influential existence. From 1975 to 1977, he served as director of El Museo del Barrio, also founded in 1969. Ruben Ochoa (Oceanside, CA, 1974; act. Los Angeles, CA) studied at the University of California, Irvine, and the Parsons School of Art and Design, New York City. 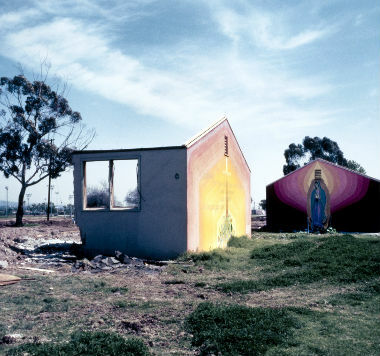 His work was included in the 2008 Whitney Biennial at the Whitney Museum of American Art, and the 2004 California Biennal at the Orange County Museum of Art. John Valadez (Los Angeles, CA, 1951) is best known as a realist painter, yet photography has always played a central role in his art making. Valadez has received various awards by institutions such as the Joan Mitchell Foundation (2001), and the Getty Fellowship Award, California Community Arts Foundation (1994), among others. Winston Vargas (Santiago de los Caballeros, Dominican Republic, 1943; act. New York, NY) studied photography at the State University of New York, photojournalism at the Germain School of Photography, and film production at New York University. He worked as a photojournalist for leading newspapers and magazines, and as a videographer in the television industry. Camilo José Vergara (Santiago, Chile, 1944; act. 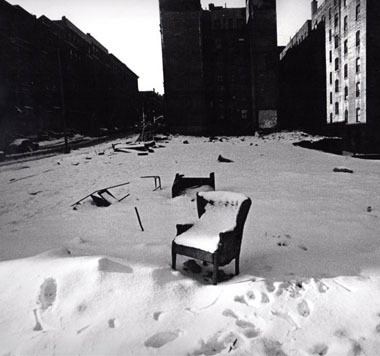 New York, NY) was trained as a sociologist and has been compared to Jacob Riis for his photographic documentation of US American slums and decaying urban environments. Over the years, he has depicted housing projects of Chicago and Detroit, and in New York he visited the Manhattan’s Lower East Side and Brooklyn, where Latinos were transforming the culture of the city since the 1960s.